View the entire table of contents for the Dec. 15, 2007 issue. "And do you want to taste the white, too?" That's the question I'm often asked by producers in Châteauneuf-du-Pape when I visit their domaines, and even by some importers who send me the bottled wines to taste. 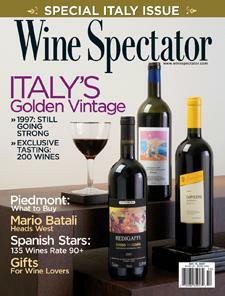 For the full article, check out the new issue of Wine Spectator, on newsstands November 15, 2007.